I was out of town on business for the day job for a week. When I returned there were three packages waiting and one came the next day. These included products from one new review product suppliers and three from companies that have been sending review products to Seven Report for years. The Vapefly Fantasy Mini Tank ships with one 0.15 ohm M8 octuple coil with a suggested wattage range of 50 – 120 watts. It also includes a 0.5 ohm M2 double coil with a suggested range of 40 – 70 watts. The Fantasy Mini is compatible with the SMOK TFV8 Baby coils. Also included in the package is a spare glass tube, spare parts and a manual. The Vapefly Fantasy Mini has a 4 ml capacity. BuyBest lists the tank for $20.70. Find out more about it or order it from BuyBest. Our friends at blu sent their new myblu starter kit. 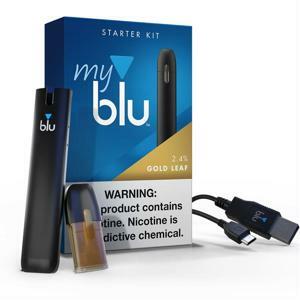 The kit comes with the new myblu device, a Gold Leaf tobacco flavored Liquidpod, a charger and manual. They also sent boxes of Magnificent Menthol, Gold Leaf and Polar Mint Liquidpods. The new myblu starter kit lists at $19.99 and a box of 2 1.5 ml Liquidpods goes for $8.99. The myblu is supposed to recharge in only 20 minutes. The blu website lists 8 different flavors of Liquidpods. Find out more about the new myblu kit and order here. DirectVapor, one of Seven Report’s oldest review product suppliers, sent two products First, the SMOK T-Priv 3 Kit. This package includes the SMOK T-Priv 3 300 watt mod that operates in variable wattage or temperature control modes. It’s powered by 3 18650 batteries (not included). 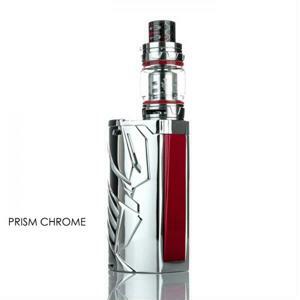 Features include smart atomizer recognition, fully customizable 9-color LED strips and a hinged battery access door. 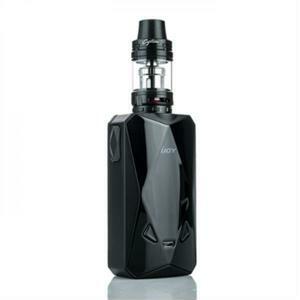 The kit also includes the SMOK TFV12 Prince Tank. The tank comes with a 0.4 ohm V12 Prince Q4 coil and a 0.12 V12 Prince T10 coil, replacement glass tube and spare parts. They also include a USB charging cable. DirectVapor shows the SMOK T-Priv 3 Kit for $67.95 with free shipping. Find out more about this kit and order from DirectVapor. In addition, DirectVapor sent the iJoy Diamond PD270 Kit. This kit includes the kit includes the iJoy Diamond PD270 234 watt mod. The mod is powered by 2 20700 batteries (not included) and includes 18650 battery inserts. The Diamond PD270 operates in variable wattage and temperature control modes with 3 memory modes. The iJoy kit also comes with an iJoy Captain X3S Tank. The tank has a 4.2 ml capacity with a sliding top fill system. Two coils are included, a 0.4 ohm X3-C1 and a 0.3 ohm X3-C2. The iJoy Diamond PD270 Kit also includes a spare glass tube, spare parts, charging cable and manual. DirectVapor lists this kit for $59.95 with free shipping. Find out more about it and order from DirectVapor. Finally, Kangertech sent their newest product, the UBOAT Starter Kit. The UBOAT is the first product Kangertech has released in months that’s not part of their AKD series. The UBOAT has an internal 550 mAh battery. 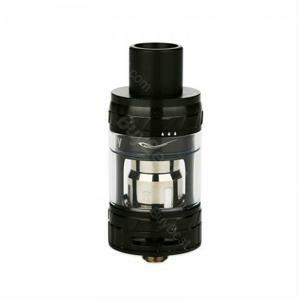 It comes with a single, replaceable UBOAT Tank with a 1.5 ohm ceramic coil and 2 ml capacity. The package also includes a specialized charging dock and manual. Kangertech also sent a 3-pack of UBOAT cartridges (or tanks). 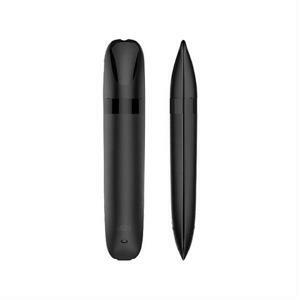 The kit is listed at $15.36 and the 3-pack of UBOAT cartridges are listed at $6.84. Find out more and order the UBOAT Starter Kit from Kangertech. In a few days I’ll begin posting individual First Look pieces on each of these products, where I’ll go over the specs and operation of each and then give each one a first vape. Then I’ll use each one extensively and come back with a full, in-depth review on each. With all of these new products, plus the few still in the queue, it’ll take a few weeks to finish them all. Follow Seven Report on Twitter and Facebook to make sure you don’t miss any of them.